We're exactly one month away from the PTFCA Indoor State Championships! The winter has flown by, and we're getting closer to Pennsylvania's biggest indoor meet of the winter. The sprints are very interesting this year, with a number of intriguing matchups to watch for. 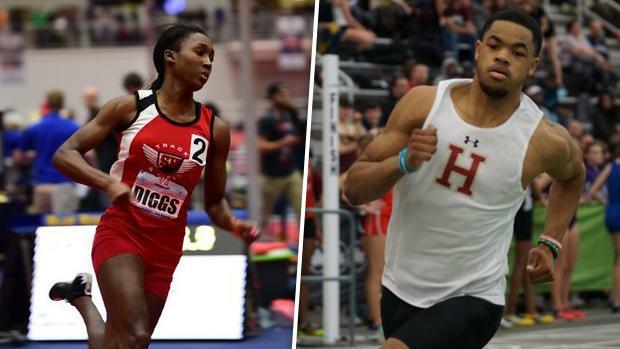 How will the 60 meters, 200 meters and 400 meters shake out this season? We're doing some speculating today, breaking down who the top threats for state gold, as well as state medals are. We look back on the season so far and look ahead for what's to come the rest of the season, going event-by-event. Our breakdowns also speculate on which events athletes will opt to run at the state meet, meaning highly-ranked athletes may not be mentioned because we predict they will focus on other events at the state meet.